At the beginning of this month, after good rains in Kruger, one of our guests was mortified when viewing a big bull elephant flatten an even bigger tree. Our tourist guide tried his best to explain that other animals would benefit from the accessible leaves, bark and roots. This was to no avail as the tourist was inconsolable about the”tree death“ and ranted on and on about what a waste it was. I am well known for my insistence on non-wastage. My adult children who sometimes sleep over at my house are very promptly and definitely told that when they leave their bedrooms then all electrical appliances MUST be switched off. Similarly my grandchildren are reminded to fill their plates in such a way that they WILL finish eating all the food. They can have seconds or even thirds but I will not tolerate any food wastage knowing very well how many fellow South Africans go to bed hungry every night. 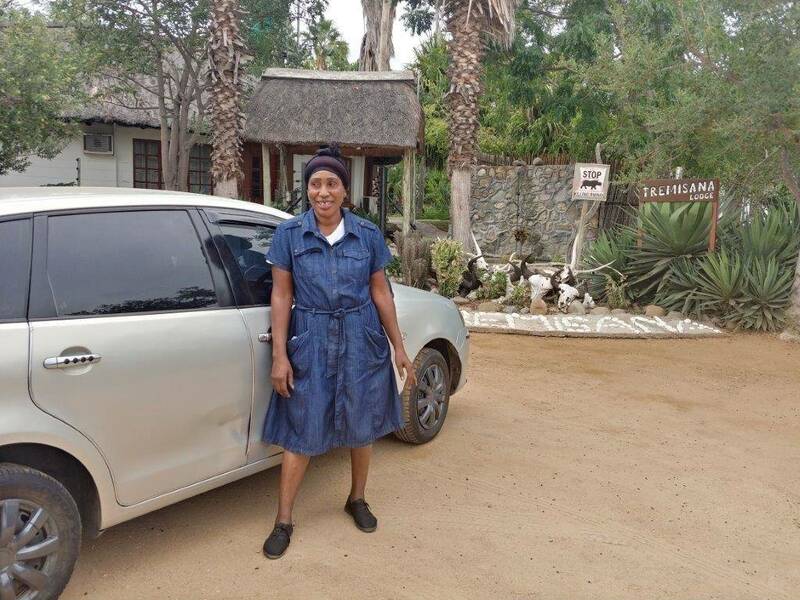 Our new manager at Tremisana Game Lodge, Riana, gets up at 05h30 every morning to check that all air conditioners are switched off in chalets used by guests, who by that time have left for the Bush Walk. Apart from saving money, she is actively helping the critical shortage of electricity and contributing positively to our load shedding problem. Like most parts of our country, we have a critical shortage of water. In every one of our 15 tourist chalets, (the last three built in 2009) we have conspicuously displayed notices encouraging tourists not to waste water. In addition we have a demerit system in place for any member of staff who irresponsibly wastes water and electricity. Viva Safaris is the ONLY operator that I know of that houses all guides in air conditioned rooms. We do this to allow for a good night’s sleep so that safe driving can occur the next day. We do not want this great employment benefit to be abused. The first week of March was very quiet. The animals were elusive and in the thick dense bush they were difficult to spot. In the following three weeks all of a sudden the bush came alive. On a Sundowner Drive at Campfire Dam there were 2 elephants bathing. Later on we came across 3 Black Rhino. They stormed straight at the vehicle so I told the guests to be very quiet and keep still. Then all of a sudden one of them stopped about a metre from the car, smelled us, turned around and spray-urinated on everybody sitting on the back of the car. The guests loved this surprise shower in the bush. What a story they have to tell ! On another occasion, we had guests from England who wanted to see elephants on their first Sunset Drive. We struggled but on the way back from Marula Boma, we found two big bull elephants in the road. The guests were on a 6 day Tremisana safari package and insisted that, of all the activities they did, this sighting was one of their highlights. On one morning walk we encountered 2 beautiful picture perfect kudu bulls as well as giraffe and zebra and the guests snapped away. Later, just to shake things up a little bit, we encountered a big elephant bull in musth. Now that in itself is very exciting to the guests but Rex had to talk quite loudly to calm him down and to get him to move away from our vehicle. She was talking about parrots but I think it is equally applicable to the wild animals of Balule. 02 March : Kruger : Before Orpen reception elephants on h7 and general game. 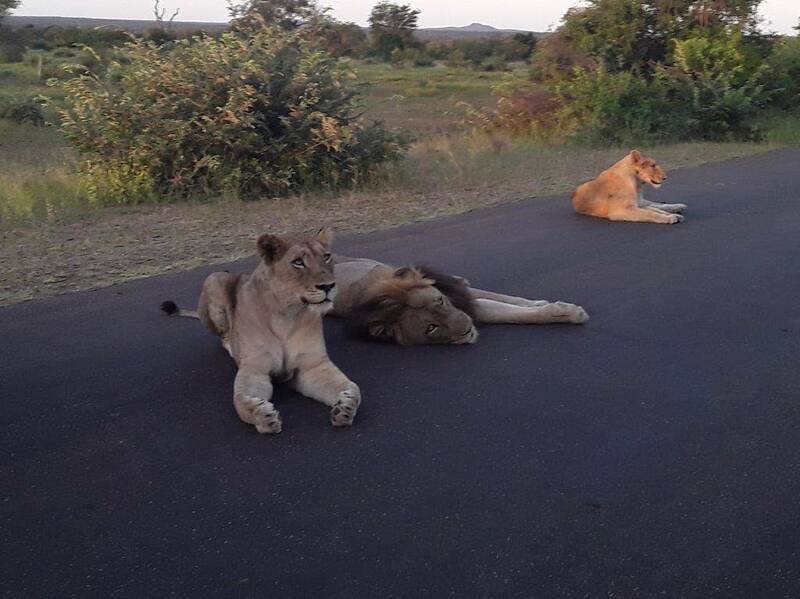 On Sweni road two male lions next to the road lying down. 13 March : on s100 buffalos and wild dog lying down on h7, lots elephants h1- 3 crossing the road. HIGHLIGHT OF THE DAY : When we came back to Marc’s Camp we saw a leopard crossing the road near Masango Camp !!! Wow !!! 18 March : Near Orpen white rhinos, elephants on s126, buffalo on s40, lions on h7 and a leopard under the tree at125. Big Five before lunch !! In the afternoon Wild Dogs at Tamboti. 24 March : Wild Dogs at Rabelais, elephants on h7 and buffalos in the road on h7 and White Rhinos later on. I took my clients on a Sunset Drive and we started with a sighting of impalas and a steenbuck. At Campfire Dam we saw two hippos. 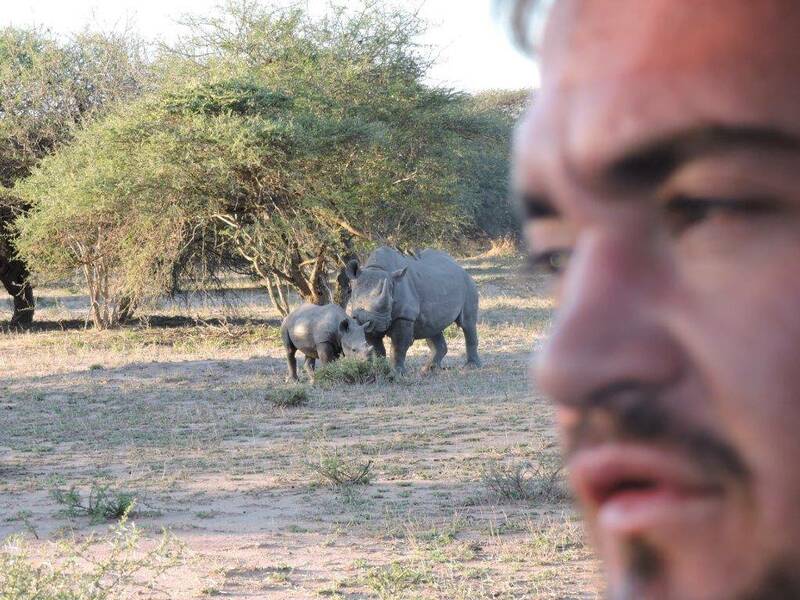 Later we found 3 Black Rhinos – that was amazing……because I had just told them that the Bush will always surprise you. Before we reached Marula Boma we saw hyenas – that was amazing ! While we were eating our delicious BBQ the same hyenas came to the Boma attracted by the sweet smell of BBQ meat – it was very exciting as my guests took brilliant pictures there – Hakuna Matata. On another day, I went out on a Bush walk with Rex. We took a different route and saw two big male lions- Wow !!!!. One of my lady client was crying thinking that those lions will eat her. I did explain that we would never let that happen ! She felt better after that. We saw hippos, crocodiles and waterbuck on our Bush walk. The lady was certain none of them would eat her. Halala ! . I went out on a Sunset Drive having my GM and his daughter and son-in-law among the guests. We saw hippos and impalas. Just as we drove into the candle-lit Marula Boma we found one big elephant waiting for us – it was unbelievable and amazing ! The next day I went with Rex and my GM and son-in-law, Jean-Luc, on a Bush Walk. On Olifants road outside Tremisana we saw very fresh droppings of Buffalos. We checked that they had not exited the Tremisana property and we went looking for the buffalo. We saw a White Rhino on our property near Tremisana Dam – it was very exciting. I saw the joy on the faces of my boss and Jean-Luc. 3rd March : Rainy and windy, but still sightings were good : a pride of lions on H 7, three white rhinos further on, Buffalo on s 106 road, more elephants on H7 road, cheetahs crossing the road s 36. 11th : Another great day : buffaloes on h7, elephants also on h7 road , crocodile – two big ones on h7 road Timbavati riverbed, ostriches on s 36 after Rockvale waterhole, lions sleeping near Sweni waterhole, leopard lying down near Sweni bridge. 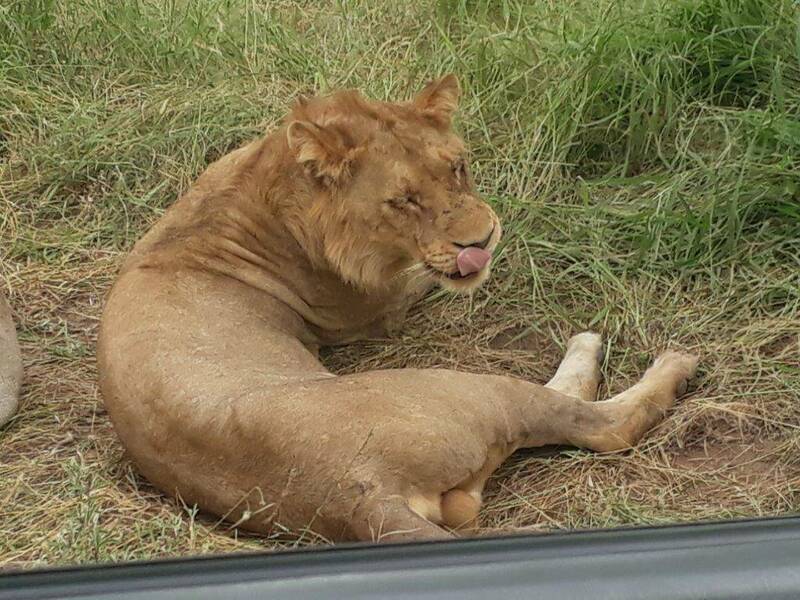 16th : Sightings difficult – had to travel far distances : lions s 89 road, buffaloes s127, many elephants s40, white rhinos on h7 road and wild dogs on the road towards Orpen. 18th : Sightings brilliant : plenty general game on Sweni, many elephants and buffaloes Sweni, secretary bird Sweni windmill, leopard on Sweni bridge, on H1-3 before H6 road mating lion pair on the road. 21st : Three white rhinos, elephants and buffaloes on s106, leopard Bobbejaankrans , plenty game Sweni and lions at Nwanetsi bridge, elephants on H1-3 near Satara, wild dogs on the H7 road and more general game – what a fantastic day !!! Sunset Drives included sightings of 2 lions near Naledi and herds of elephants all over. Black Rhino sightings have been good with a herd of 3 seen often. 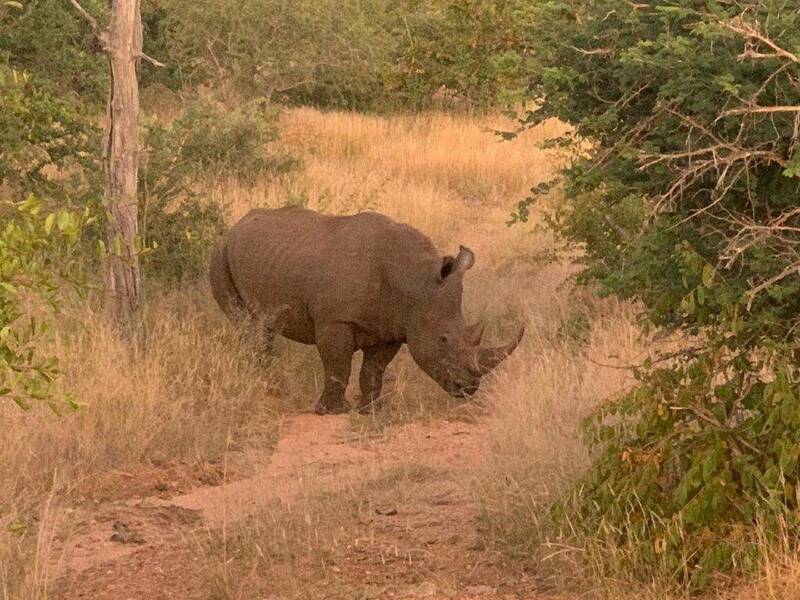 White Rhino have been more scarce but we have had various sightings including one on our own Tremisana property. Bush walks have always yielded impalas, zebras, kudus and giraffe. Hippo in the Olifants River are always seen and crocodiles from time to time. Marula Boma has been very productive with regular sightings of hyena and occasional sightings of honey badger, porcupine and genet. An elephant bull is seen regularly and Elvis, the full time chef at Marula Boma, tells me that this elephant drinks regularly from the waterhole. Beautiful and crisp. We enjoy our morning coffee before making our way out on drive welcomed by a magical sunrise. These drives have been spectacular with sightings of elephant, black rhino and even two lions on an antelope kill right next to the Olifants road! I have enjoyed every moment spent with my guests on these drives and ended each drive with a last greeting as they make their way back to Johannesburg with big smiles. The Bush has been very dense and walking through the tall grass leaves the accumulated dew drops on your legs. Beautiful smells of fresh and green grass blend with the sound of the Olifants River playing its smooth rumble in the background. The walks have focussed on the small things Nature has to offer as we take our journey through the histories of different cultures and traditional medicines used back then. We also enjoyed the different tastes that the different fruits have to offer straight off of the trees such as the raisin bushes as well as the splendid marula fruit produced by the Marula tree leaving our guests with a true taste of Africa! It was a very warm day 25C to 35C. From Orpen boom gate to the reception we saw general game including zebras and giraffes. We took H7 and before Nwamatsantsa we saw elephants crossing the road. On the S106 we saw a beautiful leopard next to the road. On S39 we saw two white rhinos and on S40 at Girivana waterhole we saw buffalos. After lunch we took H6 and found two lionesses and one male lion lying on the tar road. Another day in which we saw the Big Five ! This month has been a good month for rhino sightings. 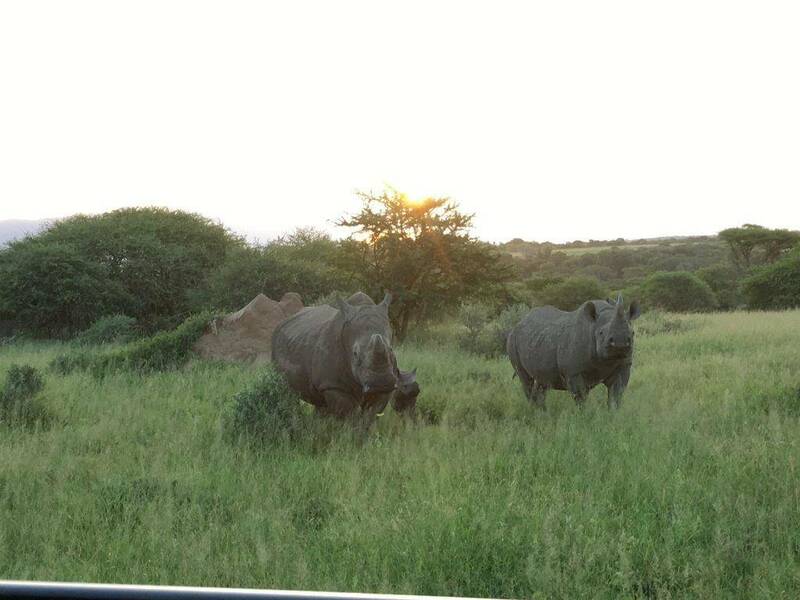 Our Motlala game drives have yielded some amazing specimens of both black and white rhinos. One of the sightings that stands out the most for me was the interaction between a white rhino bull and a black rhino cow with her new calf. It seemed that the white rhino bull was being protective of the black rhino calf. This was a first for me and I really did cherish watching this unusual interaction. The summer grass has started to turn to winter grass with its golden colour and the cooler night time temperatures have allowed us to view more nocturnal animals. I have noticed an increase in the number of porcupine sightings around Marc’s. 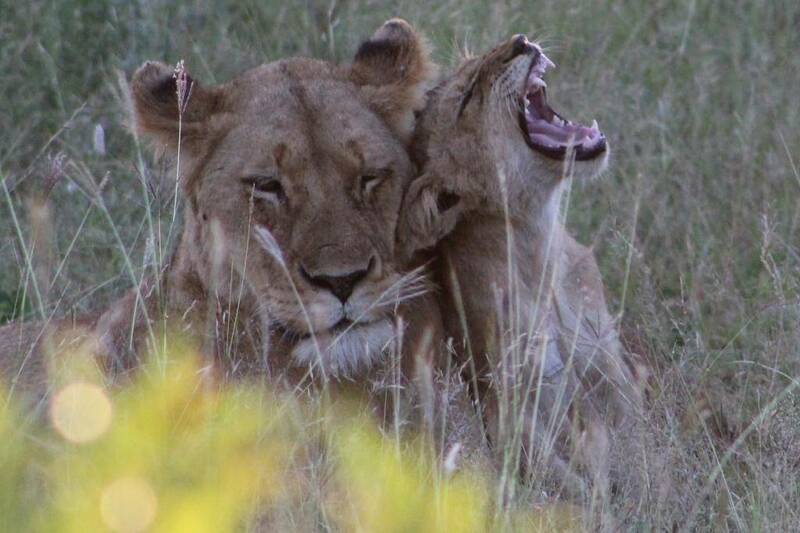 3rd : On Sable road we found a mating pair of lions right next to the road. On the 17th at Marula Boma we found a bull elephant in musth – he smelt really bad. On the 22nd on the Olifants road less than 1km from Tremisana lodge we found two male Lions sharing an Impala. They finished it very quickly. We then found three black rhinos crossing the road. At Ngwenya dam we found a herd of elephant with three young babies – my guests were cooing with appreciation !! . 23rd : At Campfire dam we found a hippo playing in the water. Further on we saw a male lion lying in the river bed. After a few minutes, he came to us and lay down next to the vehicle – we were a little nervous but we think he wanted shade as it was hot. 24th : In Kruger at Tamboti turn off we found four Wild Dogs lying down and lot of vultures on a dry tree. On the H7 we found a big pride of 15 Lions – four were in the middle of the road and the others with the cubs were on the side of the road. While we were watching, one of the males started roaring and then all of them responded at the same time. As we were very close to them the vehicle was shaking – scary and unforgettable experience !! It is now my second month with Viva and I am enjoying myself very much. This month’s highlights included seeing buffalos and a leopard on an impala kill on Tremisana property. 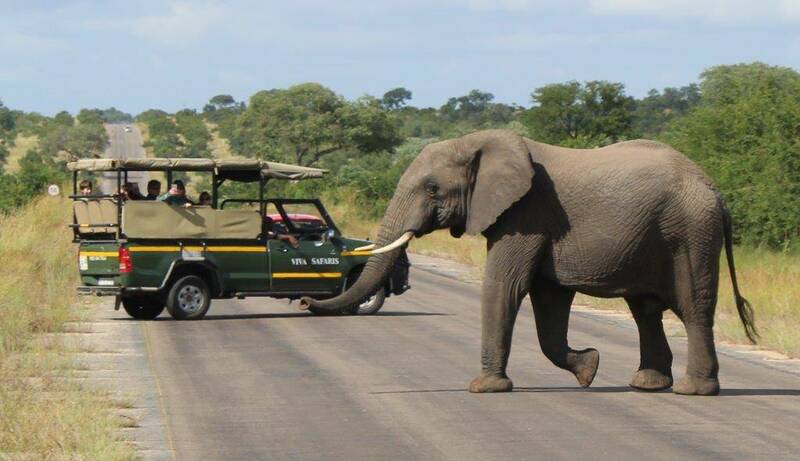 On my first day back from leave the animals welcomed me – I saw lions in the road and two big elephant bulls. On a sundowner drive, we saw both black rhino and an elephant. 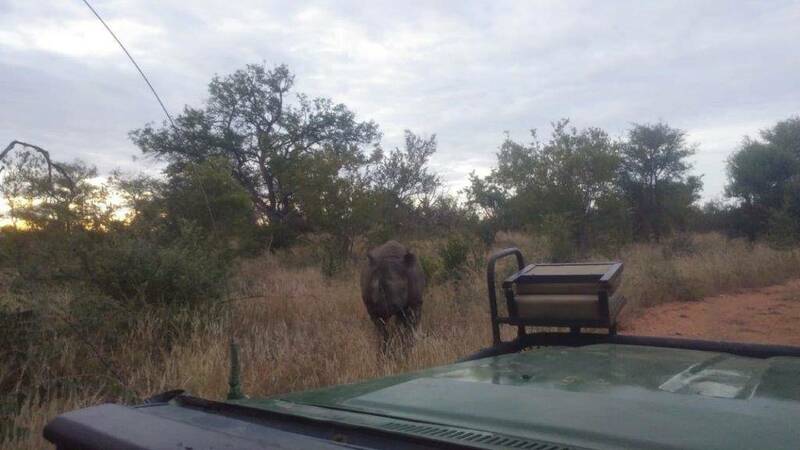 The rhino approached the vehicle so closely that I could not see the mouth of the animal over the bonnet. I have been putting in a lot of effort in studying birds of this region. I have identified many species that I haven’t seen before. I was lucky enough to see two Martial Eagles and plenty other birds of prey. Shannon has been a big help showing me the roads and giving advice. Rex is always willing to teach me something about the bush whenever I ask. All in all an interesting month – some rain, some cool days and some sweltering days. Bushwalks in the area are fantastic because of the fruits that are present so late in the summer as a result of late rains. Sightings on walks this month included bachelor herds of buffalo, hyena and giraffe. The guests loved it as well as the historical pottery sites. The fauna and flora have benefitted from the rain. Game Drives on Motlala have been lovely with some of the best Black Rhino sightings I have personally had in 11 years of guiding. Motlala Reserve has beautiful scenery and excellent plains game. TREMISANA LODGE still has the warthogs entering the property to eat the green grass. The monkeys have become experts at spotting predators – they make an almighty din. Last week we saw a lioness and a leopard thanks to their alerts. The Manager’s flatlet is complete and Riana and Janneman have moved in. MARC’S TREEHOUSE LODGE is doing well. The handyman, Leonard, is making the dinner area much more tourist-friendly by adding steps and additional seating. MASANGO CAMP has really picked up. Further to my comments about job creation in last month’s newsletter, we are pleased to advise that yet another three posts have been created this month : we welcome a new electrician, Samuel, who we know from when he helped with electrics at Katekani Lodge. From Tshukudu Lodge, we welcome Timothy who is a general handyman and from Blyde Estates we welcome Petunia who will be based at Tremisana and replaces Caroline who is the new chef at Masango. Jordan, who so expertly conducts the Bush Walks at Marcs and does most of the Motlala Sunset Drives, has been appointed as Camp Manager at Masango Camp. A formidable team indeed ! KATEKANI LODGE has again been fairly quiet. 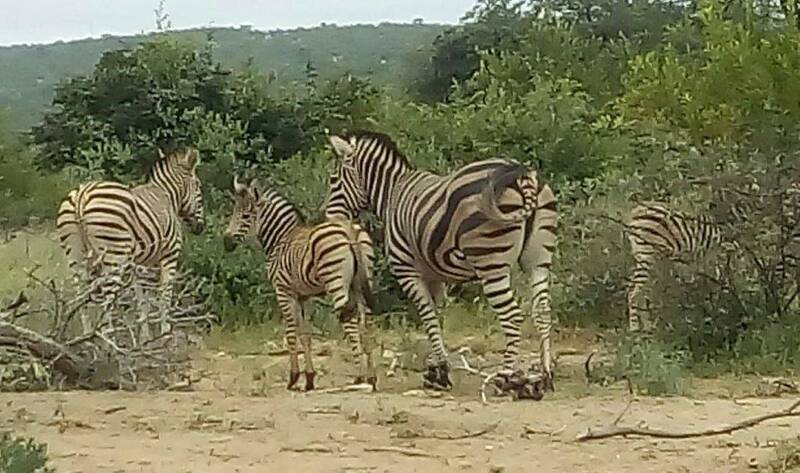 We are finding that Katekani safari packages along with our packages at the 5 star Ezulwini Lodges are not being booked as often as before – probably a sign of the financial times ! On 15 June 1996 while I was supervising the building of chalets 6 to 9, a young lady walked into the property. I asked her what she wanted and she responded that she was looking for work. She added that she had 5 dependants at home. I told her that we did not need any further help and thanked her for coming all the way from Acornhoek. The lady insisted – she advised that she was a chef and had worked at the prestigious King’s Camp. She probably had seen the size of my stomach and thought this was a way to a job. After more insistence, I relented and asked her to cook me a meal. DELINA MNISI, like the late RONALD MASANGO, in whose perpetual honour we have Masango Lodge, has been a cornerstone of Viva Safaris. Her innate honesty, her loyalty and her ability to take no nonsense have made her an extremely valuable member of our operation. It is indeed for people like her that I have not retired from this position. To show our appreciation for her efforts, we have bought her a car. May it bring you much pleasure ! 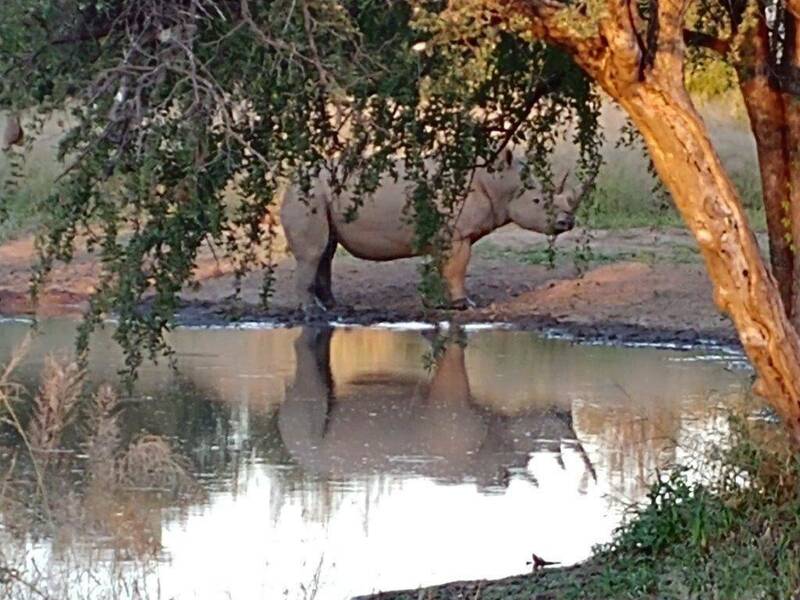 We have had more rhino sightings of both black and white species. This is good news. I took this photo from the Barnard property. March was another great month for Viva Safaris in terms of tourist numbers. Once again, we thank you for your patronage in keeping Viva Safaris so busy that we can employ more people. It is so gratifying to know that your continued loyal support of Viva is helping to alleviate the unemployment problem. Well done ! It is great to work with enlightened and constructive people – thank you ! 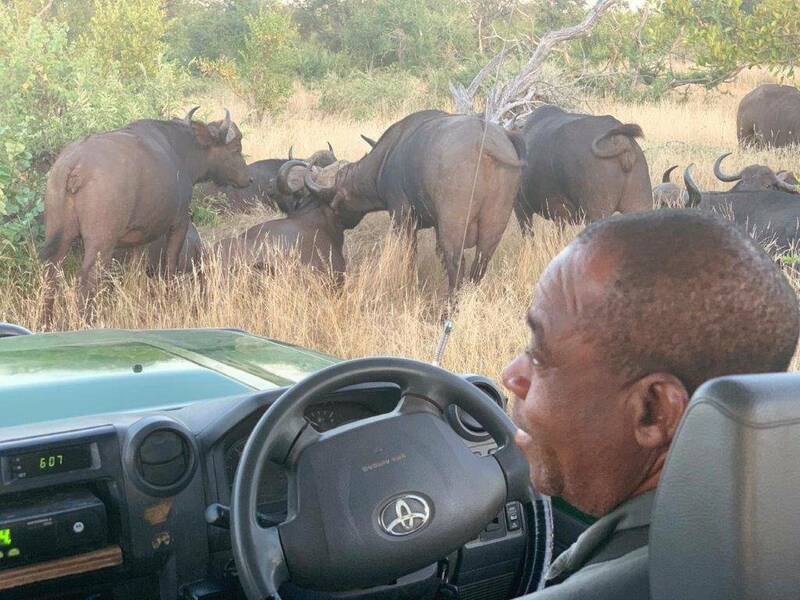 Elvis has been appointed in a fulltime capacity at Marula Boma – yet another job Viva has created. 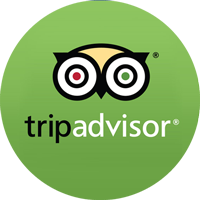 Our reviews on Tripadvisor and other fora this month have been quite exceptional and I thank all our staff for giving of their very best. What is really impressive is a common thread in all reviews indicating the friendly disposition of all our staff. Keep it up ! The staff at Marc’s Treehouse Lodge was very nice. Especially the receptionist Collette was absolutely lovely. She answered all my questions very confident and helped me with all I needed. She knows her job and makes the guest feeling well and welcomed. The food at Marc’s Treehouse Lodge was delicious. The kitchen prepared a soup, main course and dessert every evening. I liked every meal. The first night we stayed at Tremisana Game Lodge. The first evening we had a sunset drive, and afterwards we had a African braai. Tremisana is a great place. The next days we stayed at katekani tented lodge. It’s a fantastic place to stay, with every day different trips and safaris. each tent has his own pool,ware you can cool down after a warm day. We loved it a lot. It is a intimate place, and the food is very good, and the staff are lovely people. Thanks Katekani for a really great time. Had a weekend to spare on a business trip to South Africa. Decided to visit Kruger National Park for a game drive. Flew in from Jo’burg to Hoedspruit. Was met by a guide from Tremisana lodge and was driven to the lodge. Upon arrival immediately went on an afternoon local game drive. 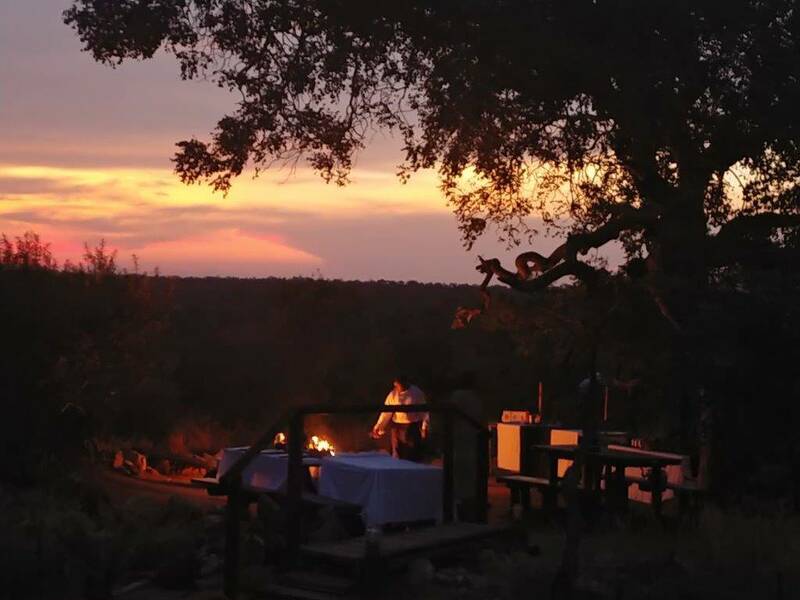 Then another evening game drive, before having a meal Braai (South African BBQ) under the stars. A great end to the first day. On day two, went to Kruger National Park, which is around 1 hour drive from the lodge. Spent the whole day at Kruger National Park getting back to the lodge at around 7.30PM. On my last day went on an early morning game drive before heading back to the airport to catch my flight back to Johannesburg. Viva Safaris organized the whole trip at a short notice. Great team, great lodge, very friendly and helpful staff. And a special thanks to Bernard for the local game drives and his excellent spotting skills. Also it was great to hear his wild life conservation ideas. Saw four out of the five Big 5 – Lion, Rhino, Buffalo and lots of elephants. Also saw a pack of wild dogs and a family of black rhinos. All in all a very memorable weekend of wild life spotting and would highly recommend Viva Safaris :). This was a bucket list trip. Have always wanted to do safari in Africa, was hard to decide between Kenya/Tanzania or South Africa. Obviously South Africa won out. Not knowing what to expect, I was quite impressed with this operator. Our transfers, our accommodations, our safari trips to Kruger and different game reserves were all more than I would’ve expected. I know that it is not a tour operator responsibility for the animals to show up, but we were lucky enough to catch the big 5 (as they say) and then some. Katekani Lodge is a dream. Not sure why the word ‘tented lodge’ appears in the description, because this place is pure luxury. There is one wall of the dwelling that is made of canvas, but that would be as much tent as you’re gonna get here. Amazing comfortable beds, enough room to have a dance party, a great deck, a dipping pool, and even and indoor / outdoor shower. Make no mistake, this is not a ‘tent’!!!! There are only 6 of these, and we were lucky to be the only ones there one night. Which meant we had are very own personal chef, “Tiger”, who rustled up some of the finest food I’ve had in a long time. Margaret was a dear and made sure our every need was tended to. One morning, it looked like it may rain so she had umbrellas and rain ponchos ready for us when we departed. What makes this tour so amazing is that you get to go to several different game reserves, Kruger, and a rehabilitation centre. Every transfer was handled with efficiency, and everyone we met was absolutely amazing. I could not believe how friendly everyone was, and so engaging in conversations. I would not begin to comprehend how someone would want to take on an adventure on this by renting a car and doing this by themselves. You would miss out on so much. This is the only way to do a safari and I would recommend Viva 100%. You will not be disappointed. Viva Safaris, Marcs Treehouse Lodge, Tremisana Lodge and Katekani Tented Lodge on TripAdvisor.